FC Clubhouse Fundraiser in Extra Time! 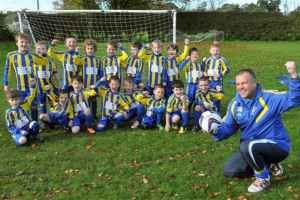 Extra Time needed for new club house funding for Hamilton Panthers FC York.They have raised almost £715k for the new clubhouse but at the last minute another £50k was needed to complete the job. 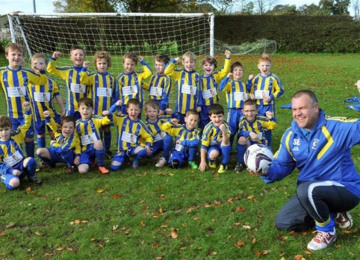 Hamilton Panthers FC York is a community football club which is run by volunteers. 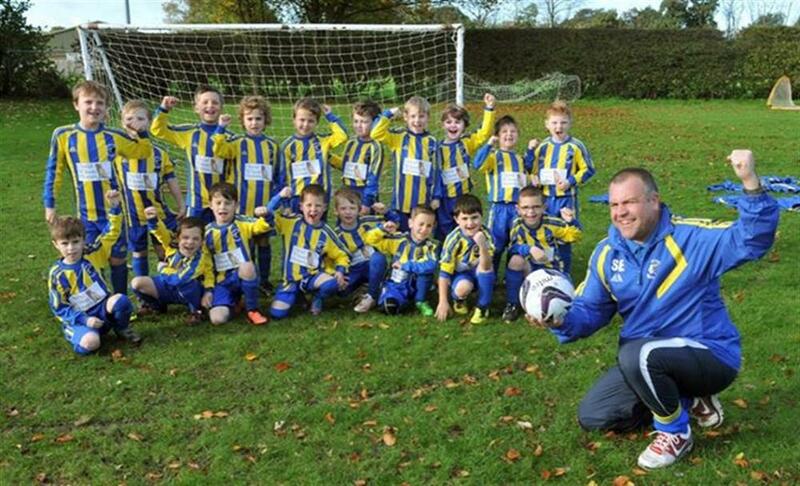 Since its foundation in 1988 over 3,600 people have played for the club, including children from over 28 schools. The club was based in the old semi derelict and former public toilet that was the old clubhouse.It was demolished in January after the club had raised £715k . Work has now commenced on the building. 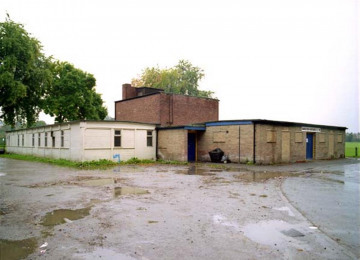 However the builders discovered that the club needed to raise another £50k more to complete the project. So the club has to go to extra time to raise the 50k goal.The shortfall is the cost of fitting out much of the interior. With flooring, kitchen and changing rooms.It will be a wonderful building on a wonderful site overlooking the Knavesmire and York Racecourse. The club needs to raise the funds before the final whistle blows in 40 weeks time when the build is due to complete. Please give your support to a wonderful clubhouse for many hundreds more children to enjoy a sporting future. A huge improvement on a wonderful site. Demolish the old semi derelict club house. Fit out the interior with changing rooms kitchen and public area. Open this much needed facility and encourage people to be involved in sport. The Clubhouse will provide income to its upkeep. 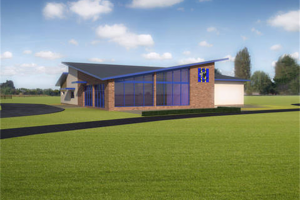 Build the new purpose built club house and changing rooms. The old clubhouse was semi derelict and a former public toilet. It was in a terrible state and was declining rapidly. 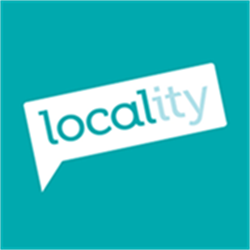 Money was raised from various sources including Sports England, York City Council and other sources including sponsorship and their own fundraising efforts. When the building commenced it was discovered that the original quotation was £50,000 short due to unexpected increases in the overall cost of the development. The new clubhouse will be a purpose built and wonderful facility for all of those that use the building including various football clubs and sports clubs throughout York. It will encourage young people to participate in sport and also be an opportunity for the clubhouse to be used as a source of fundraising in the future. 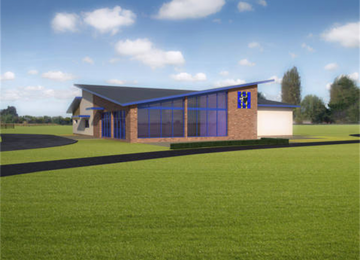 This clubhouse will allow sport to thrive on the wonderful Knavesmire sports fields, without it sport may decline in the area. This new building will inspire a new generation of children to participate in sport.£715K raised. Need £765k. Demolition already complete and building commenced. The building will be complete in September. Wewant to have the finishes done before we start using it. With crowd-funding we will be able to fit out the interior with tiled floor , kitchen and toilet facilities. This has been a long and hard process to raise £715k. Extra time has been added to raise this extra £50k before the final whistle blows in 40 weeks time when the clubhouse is complete. We need this money to fit out the interior and to allow us to use this wonderful facility. The new clubhouse will open so many new doors and provide a fantastic opportunity for young and older people to play sport. We are wanting to raise £50k and through Crowdfunding which will combine our own fundraising efforts, sponsorship, help in kind and donations. Many thousands of people have used the old inadequate facilities and many more thousands will appreciate this building.This will be a wonderful facility and will have replaced a hideous semi derelict former toilet block into a lovely purpose built clubhouse on a wonderful site. It will be a lovely building that will be welcomed by all. There will be immense pride in this building when it opens next Autumn. We need your support to reach our final goal! Cllr John Charles Hayes MBE. Born Bradford 1953. I have lived in York for 35 years and have 4 children. 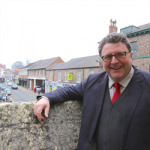 I am an Independent City of York Councillor and Chairman of Micklegate Business Initiative. I am also Chairman of Bishy Road Traders Association. I have a cookware shop with my wife, Frankie, on Bishopthorpe Road, Frankie and Johnny's Cookshop. I was awarded an MBE in 2016 New Years Honours List for services to the Bishopthorpe Road Community. 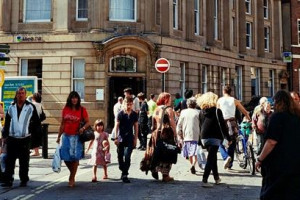 In 2015 Bishopthorpe Road was awarded the Winner of Winners Award for the Great British High Street Awards. Project Delivery Manager: Phil Sanderson The Project Delivery Manager takes legal responsibility for receiving and spending the funds raised and ensuring the project is delivered.